MILLARE Fashion: The Oscars! Bristish-Nigerian Actor Chiwetel Ejiofor &Kenya Actress Lupita Nyong’o,"12 Years a Slave" Nominated for the 2014 Academy Awards| Full Nominee List! The Oscars! 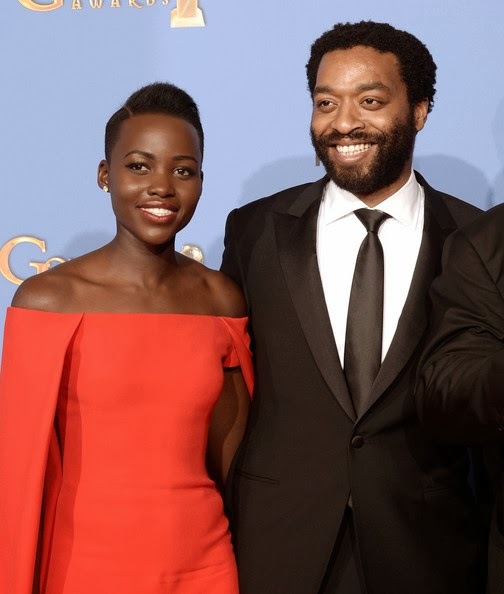 Bristish-Nigerian Actor Chiwetel Ejiofor &Kenya Actress Lupita Nyong’o,"12 Years a Slave" Nominated for the 2014 Academy Awards| Full Nominee List! Kenya actress Lupita Nyong’o and British-Nigerian actor Chiwetel Ejiofor as well as the movie they star in "12 Years a Slave", are nominated for the Oscars. Lupita was nominated in the Best Supporting Actress category alongside Jennifer Lawrence and Julia Roberts. Chiwetel will go head-to-head against Matthew McConaughey, Leonardo DiCaprio and Christian Bale. The awards ceremony will be hosted by Ellen DeGeneres and will take place on Sunday 2nd March 2014.